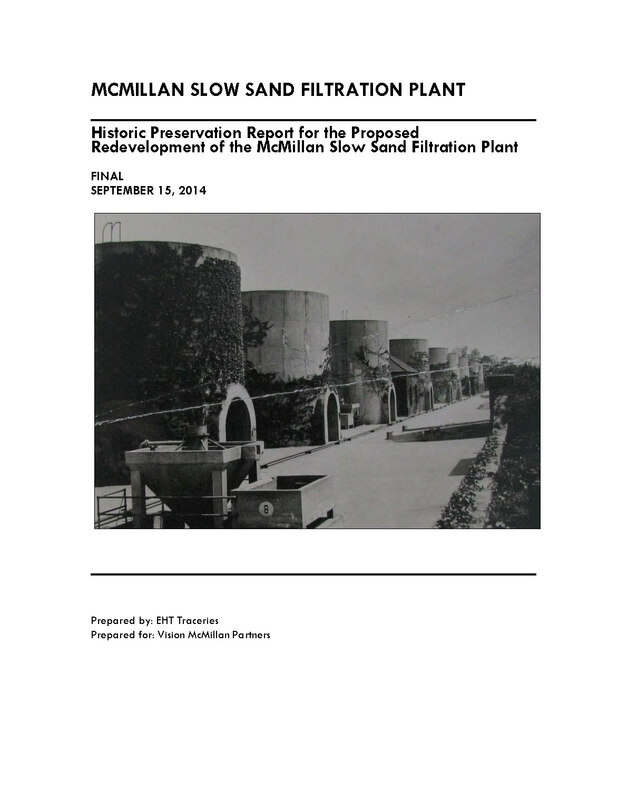 In their Tuesday session, the District Council’s Government Operations and Economic Development Committees voted unanimously to approve the surplus and disposition resolution for the 25-acre McMillan Sand Filtration Site. Their approval now advances the resolution to a vote before the full council in an upcoming session. “It is a world-class project and I’m looking forward to supporting it,” stated Councilman Kenyan McDuffie, Chairman of the Government Operation Committee and Ward 5 resident. 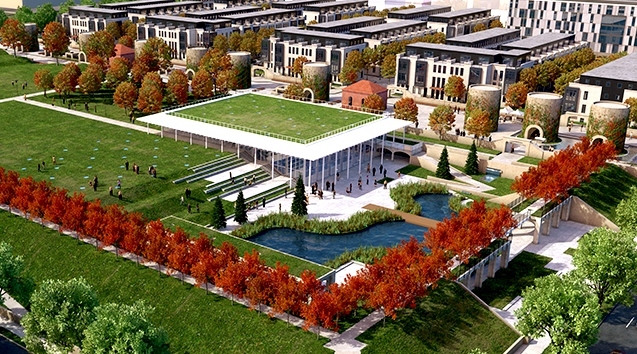 Mayor-elect Muriel Bowser also praised the development project, stating she is “pleased it is moving forward”. The impact of the New McMillan is far reaching; some elements are observable, like parks, open space and a master plan integrated into the fabric of the neighborhood, while others less visible, such as the long-term economic impacts and job creation continuing long after completion. These impacts have been well publicized – $1.2B in new tax revenues over 30 years, 3,000 new constructions jobs and 3,200 permanent jobs. What is the source of these estimates? Are they correct? Part of the early entitlement process, VMP retained Green Door Advisors (“GDA”) to conduct a fiscal and economic impact analysis of the proposed redevelopment to the District over a 30-year period. Publicized in a 2011 report, their analysis took account of all relevant District revenues and expenditures expected and incurred from redevelopment. 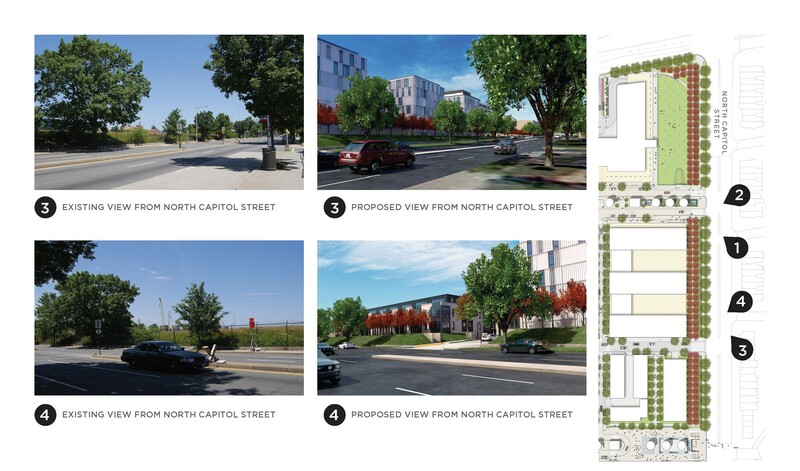 Changes to the development program resulting from the evolution of the master plan are well documented and have been highlighted by VMP over the past few months during zoning commission hearings. Has the evolution of the development program diminished the economic impact and job creation benefits? Robert Charles Lesser & Co (“RCLCO”), a renowned expert in strategic real estate impact analysis, conducted a thorough peer review of the 2011 report to confirm three key points – is the GDA methodology sound, is the level of economic impact still valid and are job creation estimates still correct. In their findings, available here for review, RCLCO confirms the methodology used in the original analysis and states, “changes to the development program would not have a material impact on the very positive results in the GDA study, and would probably result in an even more positive fiscal impact”. Has the delay in construction lessened the number of jobs created? In their peer review, RCLCO finds, higher development costs from the 2011 estimates may lead to even more construction jobs than the original GDA estimate. 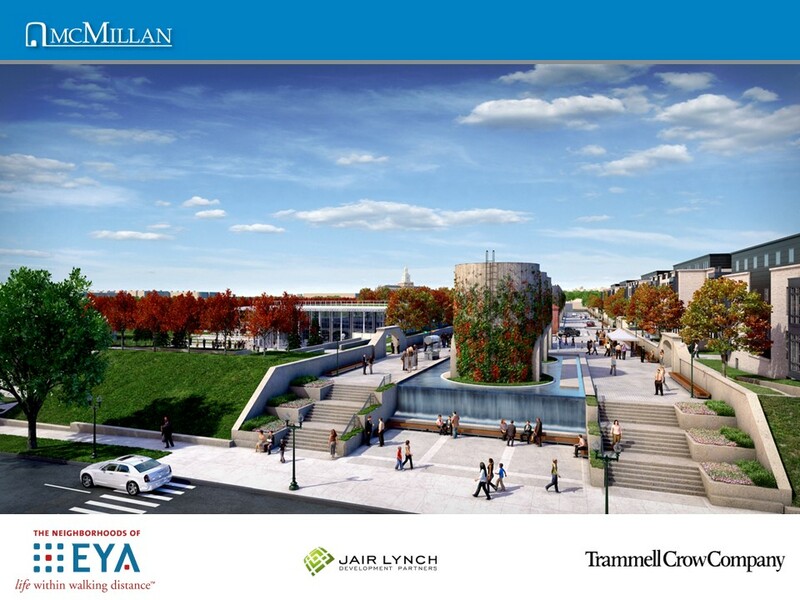 The plan for the New McMillan has evolved for the better since 2011, while the exceptional Job Creation, Fiscal & Economic Benefits to the District remains a key principle of the project. Concealed beneath a thin concrete slab covered with a layer of fill to yield the present day appearance of grassed plain, twenty sub terrain filter beds cover over 80% of the McMillan site. 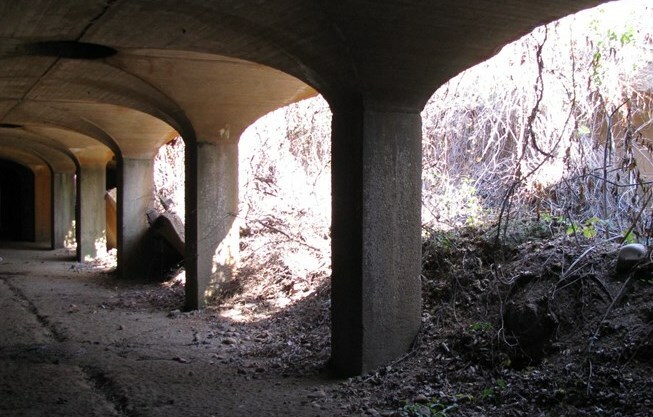 Constructed in 1903-04 of un-reinforced concrete, each bed or cell is approximately one acre in area. The floors of the filter beds are inverted groined arches that carry piers, with a slight batter or receding upward slope near the bottom. Spaced approximately 14’ in constant form, the piers support elliptical groined arches pierced by manholes to allow light from the surface. The innate challenges of reuse resulting from their existing geometric form and structural deterioration, coupled with the engineering limitations of surface development absent significant alteration to their historic character, require 16 of the remaining 18 cells be demolished in order for the redevelopment of McMillan to proceed. In accordance with the District’s Historic Landmark and Historic District Protection Act, the Mayor’s Agent must conduct a hearing prior to the demolition of a historic landmark and in cases where the applicant proposes to construct a project of “special merit”. Leading to this point, in October of 2013 the Historic Preservation Review Board or HPRB found the design for McMillan to, “represent an architecturally coordinated and cohesive approach that specifically relates to the character of the McMillan Site.” In reviewing the master plan, HPRB commended our preservation vision stating the master plan was, “developed to retain important character-defining features of the site sufficient to convey its historic characteristics.” Based on their review, HPRB recommended the project return for final review after approval by the Mayor’s Agent. While DC’s Historic Protection Act provides for protection of landmarks and buildings in historic districts, the law neither requires nor contemplates retention of the status quo. Rather, through the review process, it seeks to ensure change is accomplished in an appropriate and compatible manner. Under the Act, the Mayor’s Agent may authorize the issuance of a permit to demolish or partially demolish a historic resource if found to be necessary in the public interest. With respect to historic landmarks, the purpose is both to retain and enhance historic landmarks by encouraging their adaptation for current use and to embolden their restoration. 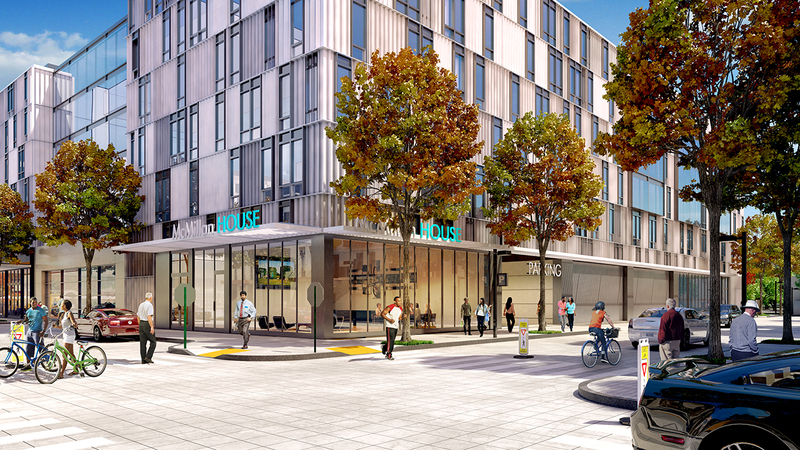 With respect to McMillan, the partial demolition of remaining cells will allow the creation of an extraordinary, high-quality mixed-use development that adaptively reuses one of the District’s most treasured historic engineering resources. 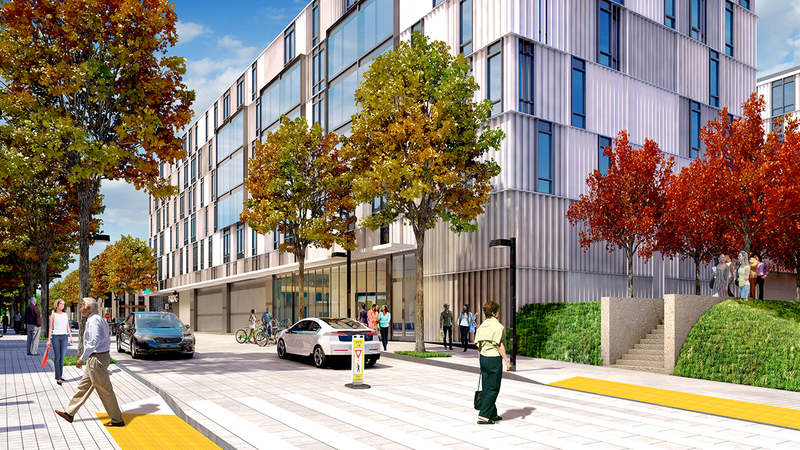 Designed by leading architects in the District, each building proposed for the new McMillan is unique in systematic layering and variation of façade elements, while cohesive in the employ of a consistent and limited palette of forms, geometries, rhythms, materials and colors that relates to the site’s historic resources. The design of the vertical structures is further elevated by a master plan that patterns uses based on the site’s tripartite organization, formed by the two historic service courts bisecting the site. 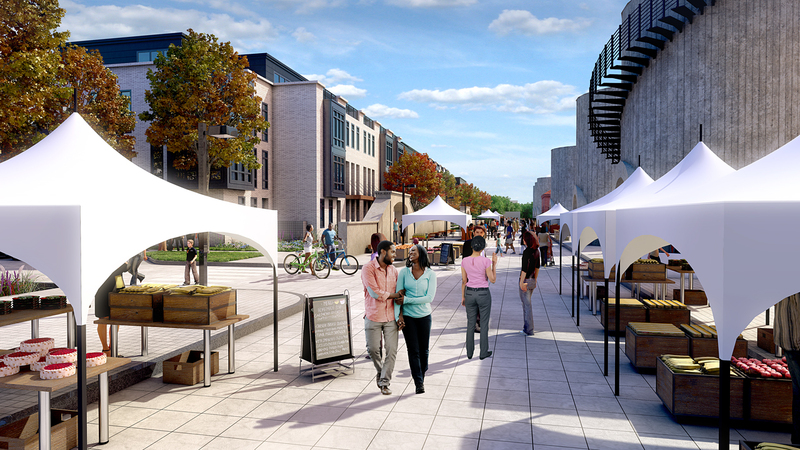 Conceptually, the master plan preserves and reinterprets the history of the site, while proposing ideas that allow function in a contemporary context and the creation of distinctive mixed-use neighborhood. Three new world-class healthcare facilities are the mainstay for significant job creation and positive economic development impacts on surrounding neighborhoods and the District as a whole. Redevelopment on the site will create demand for an estimated 3,000 construction related jobs; when complete, an additional 3,200 permanent jobs, the majority of which will highly sought after healthcare industry, will be available. VMP commits to a package of community benefits, including $1.2 million for the creation and furtherance of workforce development initiatives to prepare District residents for the job opportunities created by redevelopment. This level of financial commitment and job creation notably exceeds in both size and complexity similar efforts on other large District projects, further exemplifying the redevelopment’s meritorious impact on the community. The new McMillan gives the community one of the most comprehensive affordable housing offerings of any recent District project. Within the for-sale row homes, 13 units are set aside for residents at 80% of AMI, with 9 units set aside for residents making 50% of AMI. Of the ~500 multi-family units, 110 are affordable, with 85 of these units set aside for senior residents making between 50% -60% of AMI. Organized around a 17,000 sf community center, an extensive network of public open space highlights existing historic elements, while providing opportunity for their adaptive reuse. 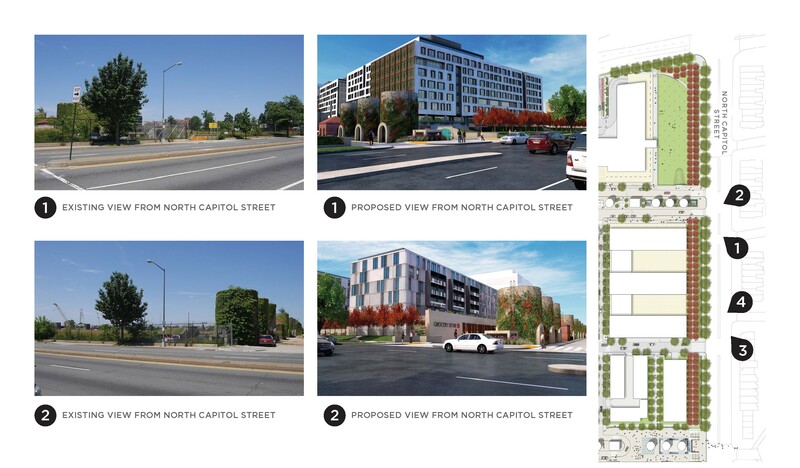 These features of the project, along with the exemplary architecture and economic benefits, all of which have a high priority to the community, foster the goals of the preservation law and establish the special merit necessary for the issuance of the partial demolition permit. The full context of our Mayor’s Agent Pre-hearing statement is available here.